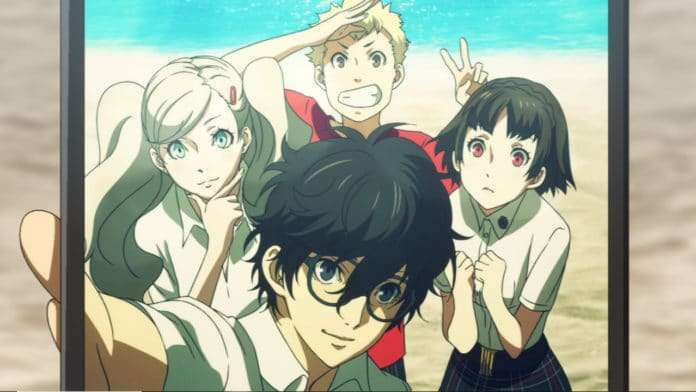 From beach episode, to a field trip to Hawaii, the Phantom Thieves have been on a vacation for a while now. Unfortunately, what should have been a leisurely fun time with some tension mixed in was anything but. Episode 19 feels like something the creators didn’t want to make, and nothing makes that clearer than the episode’s visual quality. Episode 19 is ugly. Not occasionally blink-or-you’ll-miss-it ugly. Not “necessary stretches of poor art because it’s a budget episode” ugly. Just consistent, unrelenting, in-your-face ugly. There are so many off-model shots and poor animation sequences in this episode that you can legitimately make the argument that the good (or even adequate) looking shots were a minority. It’s staggering how an episode could look so bad, and I think it speaks to some rough scheduling and serious time constraints. Things would be more tolerable if the episode at least took the time to let us take in the setting, but just like last week, the team flies through the Hawaii segment. The anime needs to stop relying on montages as a crutch for content. 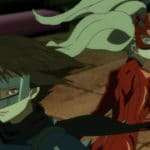 It fit in previous episodes because they were primarily used as buildup, but simply throwing a montage of the Phantom Thieves having fun isn’t the same as having that play out over the course of an entire episode. Of course, there’s the argument that the Hawaii field trip wasn’t meant to be taken as a leisurely fun diversion, and there’s some truth to that. The characters themselves note how preoccupied they are with the cause to fully enjoy themselves, after all. But then, what was the point of showing that montage of them having fun? Or the Kawakami pandering? The tone of this episode is absolutely leisurely and lighthearted (with the occasional sad Morgana moment thrown in), and it doesn’t really do a good job with it. 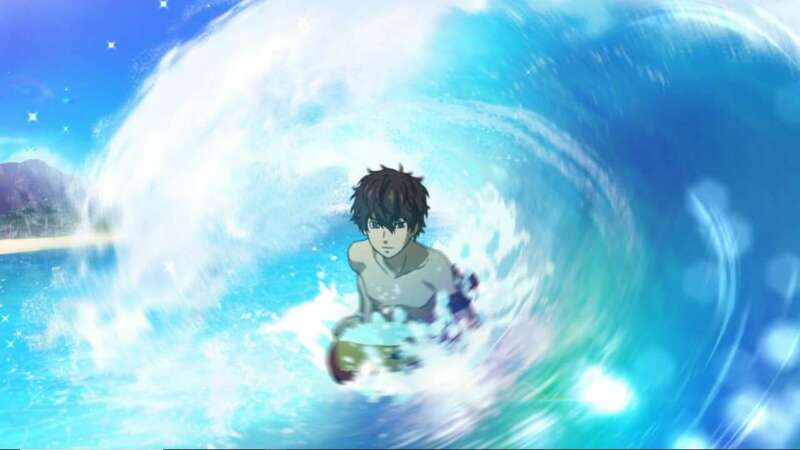 For reasons I can’t fathom, the episode sidelines Haru until the very end, mostly omitting her from Hawaii. What could have been a good moment for her to interact with the team more (something she desperately needed) is passed up entirely for… garbage. 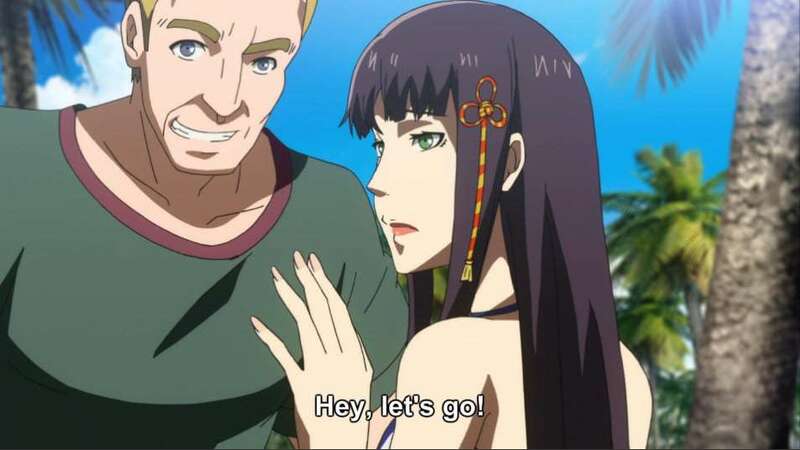 Seriously, the anime adds an anime original scene in which Hifumi is harassed by Americans, and it’s terrible. It plays hard into the stereotype of foreigners being pushy and obnoxious (complete with unsettling character design) and tops it off with Hifumi having to be rescued by Ren. It’s cliched as cliched gets, and something that would be right at home in your dime a dozen trashy anime, not Persona 5. To be clear, this scene wasn’t present in the original game at all (Persona 5 generally has more tact when it comes to dealing with foreigners). The episode also glosses over Ann and Ryuji’s heartfelt conversation, which is extremely unfortunate because it was one of my favorite moments from the game. The two of them have this incredibly open conversation that runs the gamut from silly girl-talk to reminiscing about how far they’ve come. It’s an incredibly sweet, muted showcase of their friendship, and something the anime utterly fails to convey. It leans too hard on the comedy, and lacks the connection that Ann and Ryuji experience from the game. It also omits Mishima’s “emergency,” which leads me to believe that someone on the staff must have been a fan of him because it’s a pretty embarrassing moment for him. 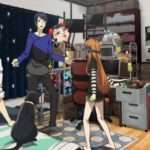 The episode ends on the Phantom Thieves discussing what to do next, and it’s by far the most interesting scene in the episode. 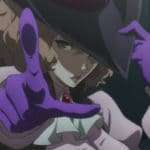 Genuine disagreement between Phantom Thief members is practically nonexistent, so having them argue (even for a moment) was definitely a good choice. 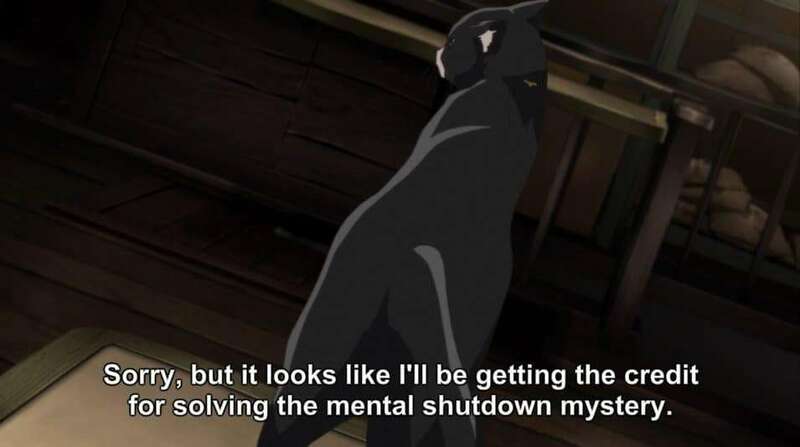 The following scene is one of the one most divisive scenes from the original (i’m mixed on it), but the anime does a good job of making it more palatable by changing things around. 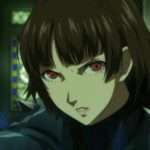 Greater emphasis is placed on Morgana’s growing sense of insecurity and abandonment, so it doesn’t feel forced like in the game. When everyone but Ryuji expresses caution at Morgana’s decision to charge ahead, his frustration is palpable. 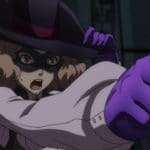 Ryuji’s support does little to assuage Morgana, who sees the latter’s support as a joke, which understandably causes Ryuji to lash out in response. I genuinely feel for both of them in the anime, because I can sympathize with their respective perspectives. The voice acting is especially solid here, with Mamoru Miyano, in particular, delivering one of his best performances for Ryuji yet. The entire sequence stands out as the only truly worthwhile moment in the episode, but it’s sadly undermined by the ugly art which takes away from the scene’s impact. Overall you might get the impression that I disliked this episode, and I want to assure you that you’re absolutely right, I mostly hated this episode. That said, I’m still feeling confident about future events. The plot starts to pick up soon, which I hope instills the team with a renewed sense of purpose. Of course, there’s no helping time and budgetary constraints, but I’m hoping future episodes aren’t as disappointing as this one.